Mom Loves 2 Read: Does you family enjoy fun and games? 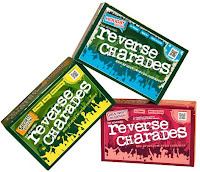 How about a round of Reverse Charades? Does you family enjoy fun and games? How about a round of Reverse Charades? WARNING: This game contains excessive doses of fun, giggles and laughter. Has been known to cause belly aches from too much laughter. Reverse Charades is a hilarious twist on the classic stand-by game you know - where one person acts out words for the team to guess (boring)! With Reverse Charades, your entire team has 60 seconds to act out as many words as one can guess. You're guaranteed hours of fun with 720 wickedly hysterical words! It's fast-paced, fiercely fun team competition that's an absolute riot with famillies, work teams, school groups, party-goers or among a few close friends. But be warned . . . you're in for big and dangerous doses of fun! There are also expansion packs available for Holiday, Girls' Night In, and Sports topics! When the box arrived, I just had to open it and "test" it out on my kids. My son and I decided to do a mini trial run with my two girls being the guessers. As my son and I acted out several words using the Holiday Expansion Edition cards, both of my girls (ages 4 and 8) were able to guess what my son and I were acting out. The most amazing part is that my 4 year old got most of them before my 8 year old did! She was able to guess "snowball fight" (and acted it right back at me), "sledding" and even "Christmas Tree" before her big sister. It is such a fun game even for younger kids! It is so much fun to watch my kids and husband try to act out some of the more hilarious words. Since each team is only allowed to "pass" on a word 1 time per play - you sometimes get stuck with something nobody can figure out and I found myself laughing so hard I couldn't even try to get a guess out! It is amazing how one word can be acted out so many different ways by different people all at the same time! 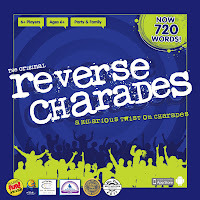 I love that Reverse Charades is a family party game that both kids and adults can play together. 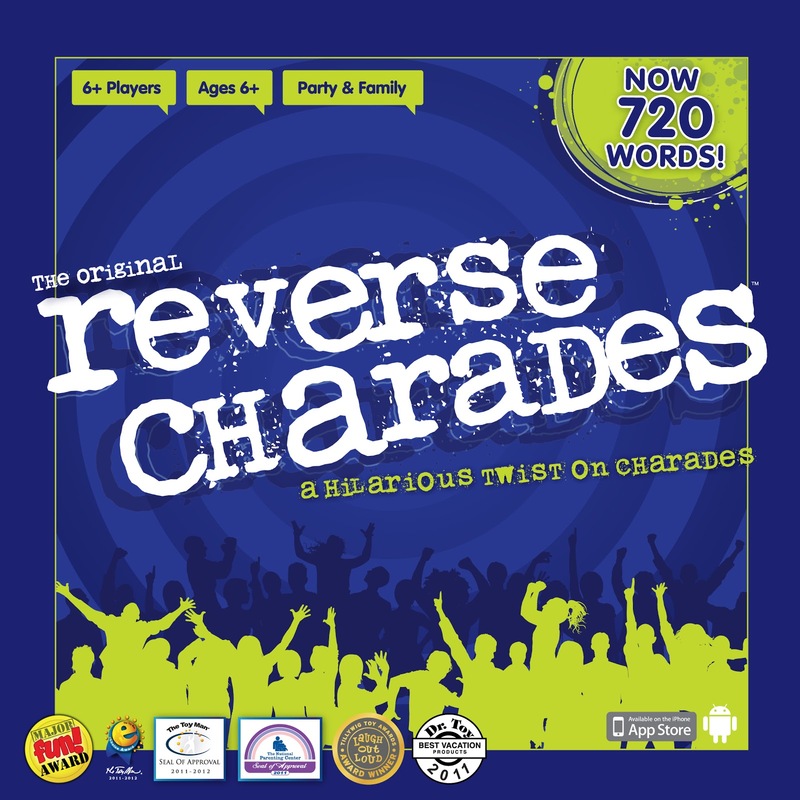 *There is even an APP for Reverse Charades available at the App store so you can take it with you! 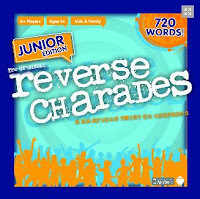 *And don't forget about Reverse Charades Junior Edition - perfect for the younger kids! 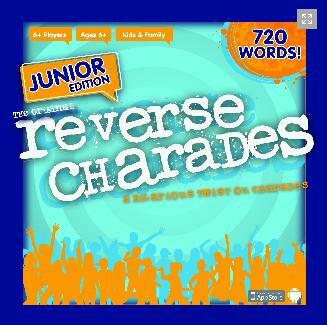 Reverse Charades—Junior is a hilarious twist on charades. Guaranteed hours of fun with 720 kid-tested words for ages 6 and older!